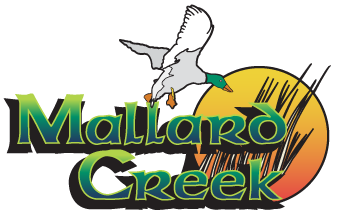 In 2009, the Fairways Golf Membership was offered for the first time at Mallard Creek Golf Club. When we launched this membership, we did so for a few reasons. First, we wanted to create something that was unbeatable in terms of value for golfers of all types. Secondly, we felt it was time to do something meaningful in terms of growing the game of golf and making it as accessible as possible. Lastly, it was important for us to be accountable to our patrons on a regular basis – and a membership does just that. Around the same time that we launched the Fairways Golf Membership, many third-party marketers and tee-time providers began to control a larger and larger amount of golf in our area. As a result, courses sold fewer rounds of golf alongside lower prices and important revenue dollars were funneled to these corporations, instead of the facility. This ripple effect has caused many courses to be less successful and is a big reason for why you may have seen some of your favorite courses close or go swiftly downhill in past years. In creating the Fairways Golf Membership, we have been able to improve our accountability across the board and therefore, the golfing experience you and your friends have with each round played. In doing so, we once again made golf more accessible while providing the best value in golf in Northeast Ohio. Today, the Fairways Golf Membership has grown from a one course offering to include Mallard Creek, Dragon Ranch, Briarwood and Pine Brook. This memberships allows golfers of all kinds, from the scratch player to the weekly hacker, to enjoy the game the way it was meant to be enjoyed. We are proud to have created this membership benefitting all golfers across the area. We believe in growing the game and making it affordable, accessible and fun for everyone. We have created Ohio’s #1 Golf Membership and will continue to grow its offerings and benefits for all of our Fairways Golf Members! As we continue to grow and make an impact on Northeast Ohio golf and the communities around us, our mission will remain the same: to provide the absolute best value and quality to golfers from all walks of life. Currently, Fairways Golf manages and operates Mallard Creek Golf Club, Dragon Ranch Golf Club and Pine Brook Golf Links. Briarwood has been a partner with Fairways Golf since 2013 and shares the same vision that Fairways Golf has. With four courses currently within our portfolio, we are not done yet. We are always looking for new and exciting opportunities to grow and expand. At Fairways Golf, our first decade is nearly in the books, but we are just getting started. Join Northeast Ohio’s most exciting golf movement today and discover for yourself why Fairways Golf and the Fairways Golf Membership stands alone when it comes to your golfing needs.